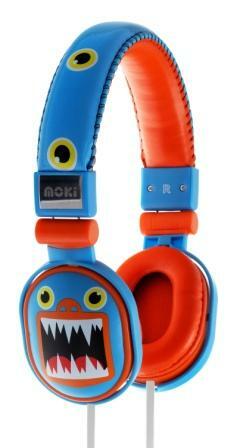 Moki Poppers are a stylish way for kids and kids at heart to listen to tunes and play games. New from the Australian Moki (formerly Moshi) team, the Moki Poppers headphones deliver great quality sound and feature DJ style swivel ear cups, widely adjustable padded headband and 120cm single connector cable for easy untangling. The lightweight design and adjustable headband holds firm with little pressure making them comfortable to wear for extended sessions. Suits all ages - young children, teenagers, adults. Adjustable, fully padded headband and solid construction. Ideal for home, travel or on the street use.